Shopping for a cheap cell phone should be easy and simple. We make it easy to find and buy the used cell phone that you are looking for, and we always ship within 1 business day. Your search for your next cell phone begins and ends at Cellular Country. 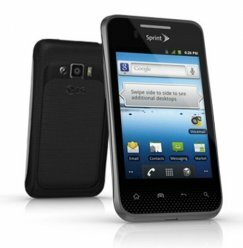 Cellular Country has a full range of Lg Octane products for you to choose from. Each phone has been completely tested and inspected by an experienced technician. In the event that it doesn't meet your expectations, it comes with a full 30 day money back guarantee. There's not reason to sign another contract when you can shop hundreds of discounted phones at Cellular Country. It may seem like you're saving money but you have to pay the phone company for service and data for another 2 years. At Cellular Country we give you a phone with no headaches and it arrives at your door without having to leave your house. If you have any questions, we are available 24 hours a day with answers. Either call us at 866 951 2355 or contact us here. We are here to help you find a no-contract phone, place an order, or anything else you might need involving your mobile phone questions.